ESPN's Jalen Rose & ESPN Host Girlfriend Molly Qerim Secretly Got Married In New York, Then Jetted Out On Baecay! - SEE THE WEDDING PICS! Surprise! 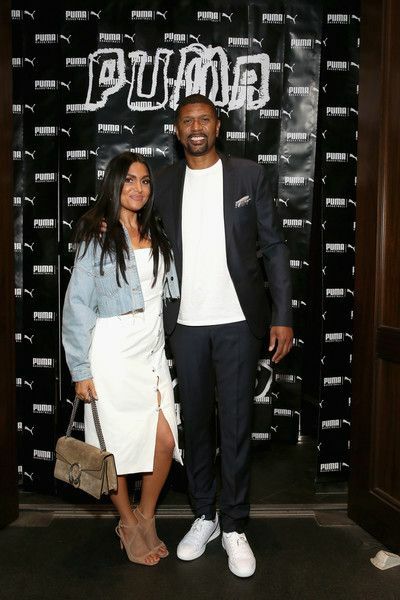 NBA Baller turned sports analyst Jalen Rose and ESPN's "First Take" host Molly Qerim got secretly hitched in New York recently. Page Six reports the co-workers turned lovers did the nuptials thing then hopped a flight to Turks & Caicos, where they both just posted pics from. Jalen even called her an "earthly angel", and you can see Molly rocking a ring on her ring finger. We first noticed Jalen & Molly were boo'd up back in 2016 when Jalen would post about her often. It took her a while to start showing off their relationship on her own social media, but she did. And here we are. The couple nor ESPN has confirmed anything yet. But in the meantime, congrats to the couple (especially to Jalen, since he finally has a ring).